“Why didn’t you buy any multi-player games?” she asked. It was a good point. After all, it’s more fun going to the movies, having dinner, or going on holidays with friends. So why not gaming? I thought about it a while, and shrugged. My experience of video games has pretty much been that of a solitary passion, much like reading or writing. Sure, there was the occasional MMORPG (massively multiplayer online roleplaying game), but none of those lasted long. They required the precise coordination of four to five people, a feat anyone organising a dinner or drinks night can tell you is near impossible. It also didn’t help that the games which had me head-over-heels in love were story-heavy games, most of which tend to be single-player experiences. Whether they were Japanese role-playing games (JRPGs) or thought-provoking first-person shooters that were a commentary on Objectivism, they were for the most part, intended to be experienced by a sole person, immersed in the world. I never truly felt the need to change those gaming habits. 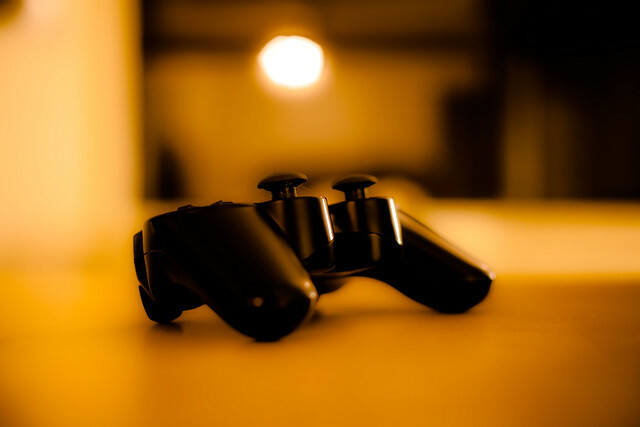 Gaming was a cocoon, an interactive world I could get lost in, and leave my mark. I could do as I pleased, never worrying about what someone would think of my choices in selecting character abilities and weapons, or which characters I chose to live or die. And in the end, I could have a ridiculously overpowered hero that mowed down the final bosses. I could have an active part in ensuring that happy ending. The world was just me, and that was enough. Then came a little indie game called Journey. It’s not so little now, having grown a massive fanbase–and rightfully so. But when I first heard about Journey, it was not very well known. I’d only picked it up because I’d played the developer’s previous game and found it fun and relaxing (and yes, single-player). I was so glad I did. Journey is the story of an adorable humanoid creature, whose goal is to reach the peak of a mountain in the distance. It’s a story told completely without words, a story that emerges through the ruins you trek through and beautiful, hieroglyph-style animations interspersed throughout. It’s also a multi-player game–but you can’t choose who you play with, and you can’t communicate with them apart from cute little “bing” noises. That, however, is part of its charm. When the game matches you with someone else on a level, you have a choice: You can simply move on without the other person and pretend they aren’t there, or you can seek them out and explore the level together. On my first play-through, I thought the other avatar was controlled by the computer, and proceeded through the game on my own. It was fun, and also touching. It was a good game. But it wasn’t great. And then I discovered that the other things binging at me in each level were real people. They were trying to communicate. More than that, they were trying to help. Over here, over here, they would say through their frantic binging, and through the universal body language of a mother trying to chivvy a young child along. Over here would be the location of a hidden rune, or simply a beautiful view I’d never taken in before. I managed to play through the game with a single companion my third time around. We explored the levels together, my mysterious companion showing me shortcuts through the levels and other hidden secrets. We binged back and forth, neither fully understanding, yet still able to express our utter elation and joy. And at the final level, a slog up the snow-covered mountain, our little avatars huddled together. They kept each other warm. And that was a perfect summary of what I’d just experienced in the game. After that Saturday afternoon conversation with my sister, I remembered my brief sojourn with Journey. I remembered the sheer pleasure of companionship. And I went out and bought a pile of multi-player games. Photo by Michael Nugent, via Flickr.